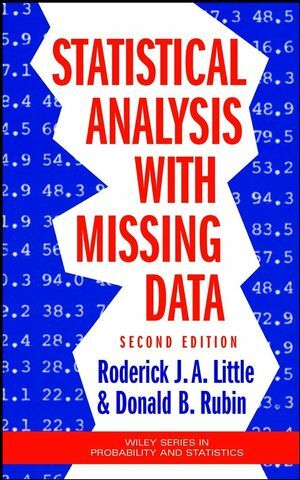 This book brings together a collection of articles on statistical methods relating to missing data analysis, including multiple imputation, propensity scores, instrumental variables, and Bayesian inference. Covering new research topics and real-world examples which do not feature in many standard texts. The book is dedicated to Professor Don Rubin (Harvard). Don Rubin has made fundamental contributions to the study of missing data. Comprehensive coverage of an imporant area for both research and applications. Adopts a pragmatic approach to describing a wide range of intermediate and advanced statistical techniques. 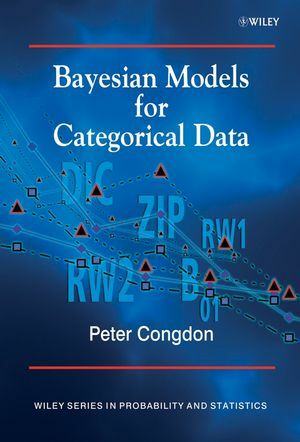 Covers key topics such as multiple imputation, propensity scores, instrumental variables and Bayesian inference. Includes a number of applications from the social and health sciences. Edited and authored by highly respected researchers in the area. Andrew Gelman is Professor of Statistics and Professor of Political Science at Columbia University. He has published over 150 articles in statistical theory, methods, and computation, and in applications areas including decision analysis, survey sampling, political science, public health, and policy. 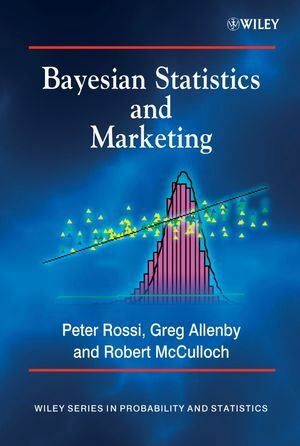 His other books are Bayesian Data Analysis (1995, second edition 2003) and Teaching Statistics: A Bag of Tricks (2002). I Casual inference and observational studies. 1 An overview of methods for causal inference from observational studies, by Sander Greenland. 1.2 Approaches based on causal models. 2 Matching in observational studies, by Paul R. Rosenbaum. 2.1 The role of matching in observational studies. 2.3 Two key issues: balance and structure. 3 Estimating causal effects in nonexperimental studies, by Rajeev Dehejia. 3.2 Identifying and estimating the average treatment effect. 4 Medication cost sharing and drug spending in Medicare, by Alyce S. Adams. 4.4 Conclusions and policy implications. 5 A comparison of experimental and observational data analyses, by Jennifer L. Hill, Jerome P. Reiter, and Elaine L. Zanutto. 6 Fixing broken experiments using the propensity score, by Bruce Sacerdote. 6.3 Estimating the propensity scores. 7 The propensity score with continuous treatments, by Keisuke Hirano and Guido W. Imbens. 7.3 Bias removal using the GPS. 7.5 Application: the Imbens–Rubin–Sacerdote lottery sample. 8 Causal inference with instrumental variables, by Junni L. Zhang. 8.2 Key assumptions for the LATE interpretation of the IV estimand. 8.3 Estimating causal effects with IV. 9 Principal stratification, by Constantine E. Frangakis. 9.1 Introduction: partially controlled studies. 9.2 Examples of partially controlled studies. 10 Nonresponse adjustment in government statistical agencies: constraints, inferential goals, and robustness issues, by John L. Eltinge. 10.1 Introduction: a wide spectrum of nonresponse adjustment efforts in government statistical agencies. 10.3 Complex estimand structures, inferential goals, and utility functions. 11 Bridging across changes in classification systems, by Nathaniel Schenker. 11.2 Multiple imputation to achieve comparability of industry and occupation codes. 11.3 Bridging the transition from single-race reporting to multiple-race reporting. 12 Representing the Census undercount by multiple imputation of households, by Alan M. Zaslavsky. 13 Statistical disclosure techniques based on multiple imputation, by Roderick J. A. Little, Fang Liu, and Trivellore E. Raghunathan. 13.4 Analysis of synthetic samples. 14 Designs producing balanced missing data: examples from the National Assessment of Educational Progress, by Neal Thomas. 14.2 Statistical methods in NAEP. 14.3 Split and balanced designs for estimating population parameters. 14.5 The role of secondary covariates. 15 Propensity score estimation with missing data, by Ralph B. D’Agostino Jr.
15.3 Applied example:March of Dimes data. 15.4 Conclusion and future directions. 16 Sensitivity to nonignorability in frequentist inference, by Guoguang Ma and Daniel F. Heitjan. 16.1 Missing data in clinical trials. 16.3 A nonignorable selection model. 16.4 Sensitivity of the mean and variance. 16.5 Sensitivity of the power. 16.6 Sensitivity of the coverage probability. III Statistical modeling and computation. 17 Statistical modeling and computation, by D. Michael Titterington. 17.5 Prospects for the future. 18 Treatment effects in before-after data, by Andrew Gelman. 18.1 Default statistical models of treatment effects. 18.2 Before-after correlation is typically larger for controls than for treated units. 18.3 A class of models for varying treatment effects. 19 Multimodality in mixture models and factor models, by Eric Loken. 19.1 Multimodality in mixture models. 19.2 Multimodal posterior distributions in continuous latent variable models. 20 Modeling the covariance and correlation matrix of repeated measures, by W. John Boscardin and Xiao Zhang. 20.2 Modeling the covariance matrix. 20.3 Modeling the correlation matrix. 20.4 Modeling a mixed covariance-correlation matrix. 20.5 Nonzero means and unbalanced data. 21 Robit regression: a simple robust alternative to logistic and probit regression, by Chuanhai Liu. 21.3 Robustness of likelihood-based inference using logistic, probit, and robit regression models. 21.4 Complete data for simple maximum likelihood estimation. 21.5 Maximum likelihood estimation using EM-type algorithms. 22 Using EM and data augmentation for the competing risks model, by Radu V. Craiu and Thierry Duchesne. 22.6 Discussion and further work. 23 Mixed effects models and the EM algorithm, by Florin Vaida, Xiao-Li Meng, and Ronghui Xu. 23.2 Binary regression with random effects. 23.3 Proportional hazards mixed-effects models. 24 The sampling/importance resampling algorithm, by Kim-Hung Li. 24.3 Selection of the pool size. 24.4 Selection criterion of the importance sampling distribution. 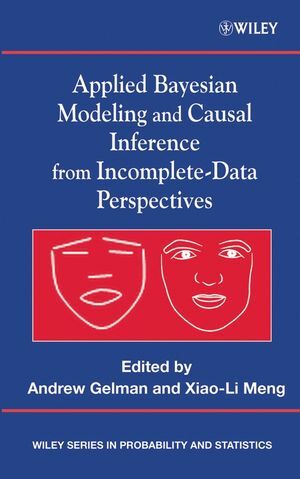 25 Whither applied Bayesian inference?, by Bradley P. Carlin. 26 Efficient EM-type algorithms for fitting spectral lines in high-energy astrophysics, by David A. van Dyk and Taeyoung Park. 26.1 Application-specific statistical methods . 26.2 The Chandra X-ray observatory. 26.3 Fitting narrow emission lines. 26.4 Model checking and model selection. 27 Improved predictions of lynx trappings using a biological model, by Cavan Reilly and Angelique Zeringue. 27.2 The current best model. 27.3 Biological models for predator prey systems. 27.4 Some statistical models based on the Lotka-Volterra system. 27.5 Computational aspects of posterior inference. 27.6 Posterior predictive checks and model expansion. 27.7 Prediction with the posterior mode. 28 Record linkage using finite mixture models, by Michael D. Larsen. 28.1 Introduction to record linkage. 28.5 Analysis of linked files. 28.6 Bayesian hierarchical record linkage. 29 Identifying likely duplicates by record linkage in a survey of prostitutes, by Thomas R. Belin, Hemant Ishwaran, Naihua Duan, Sandra H. Berry, and David E. Kanouse. 29.1 Concern about duplicates in an anonymous survey. 29.2 General frameworks for record linkage. 29.3 Estimating probabilities of duplication in the Los Angeles Women’s Health Risk Study. 30 Applying structural equation models with incomplete data, by Hal S. Stern and Yoonsook Jeon. 30.2 Bayesian inference for structural equation models. 30.3 Iowa Youth and Families Project example. 31 Perceptual scaling, by Ying Nian Wu, Cheng-En Guo, and Song Chun Zhu. 31.2 Sparsity and minimax entropy. 31.5 Texture = imperceptible structures.